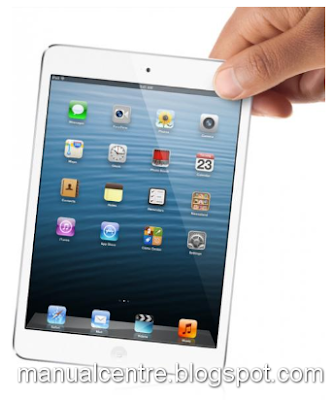 Apple iPad Mini User Manual Guide | Actually the Apple iPad Mini user manual or user guide has been discussed on this blog. But the discussion is still combined with iPad 4 manual. Ok, for this time specially about iPad mini manual. 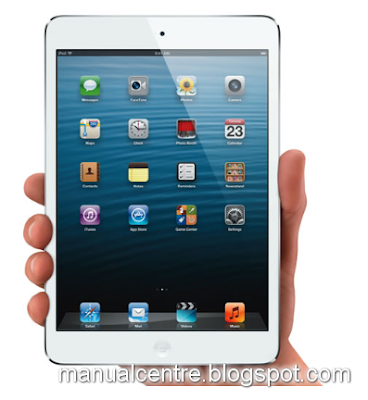 The apple ipad mini measuring 7.87 x 5.30 x 0.28 inches with display screen of 7.9 inches (IPS LCD tchnology). The processor used Dual core, 1000 MHz, ARM Cortex-A9 with Apple A5 chipset. While for memory is 512 MB of RAM. For taking photo used 5 MP camera. This tablet runs on the iOS (6) and work on under GSM, UMTS and LTE network.